Grand Park Sports Campus in Westfield, Ind., will host the Little League Baseball and Little League Softball Tournaments in 2017. With the recent sale of the former Little League Central Region Headquarters in Indianapolis, Little League® International has officially announced the Grand Park Sports Campus in Westfield, Ind., as the location for the 2017 Little League Baseball® and Little League Softball® Central Region Tournaments in 2017. 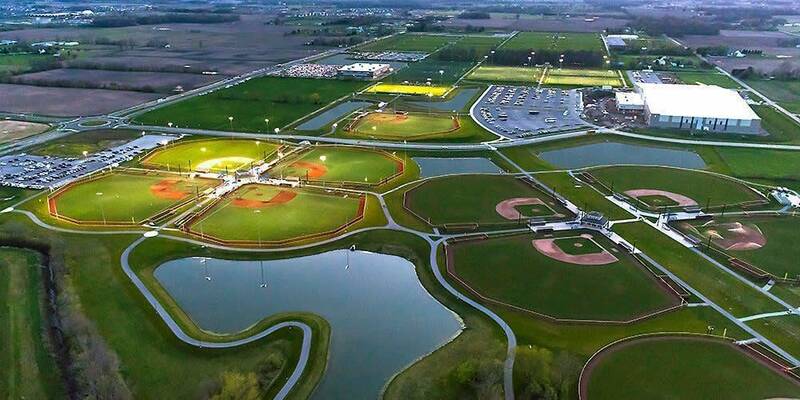 Located on a 400-acre property, at 19000 Grand Park Blvd, in Westfield, Ind., the Grand Park Sports Campus features 26 diamonds with bleacher seating provided at each location, batting cages, concession stands, and more, and will serve as an exciting location for the 2017 Central Region Tournaments. The Little League Softball Central Region Tournament will be held from July 24-28 while the Little League Baseball Central Region Tournament, determining both the Great Lakes Region and Midwest Region champions, will take place from August 6-12. The winners of these tournaments will advance to the Little League Softball World Series in Portland, Ore., and the Little League Baseball World Series in Williamsport, Pa., respectively. Detailed game schedules, including the games broadcast on the ESPN family of networks, will be available in June. With a location officially set for the 2017 Central Region Tournaments, Little League continues to review responses to a Request for Proposal for the new permanent location of the new Central Region Headquarters. A decision is likely to be made by the end of the calendar year. The current contact information for the Little League Central Region Headquarters, will remain the same until further notice, and can be found at LittleLeague.org/Contact. All media inquiries should be directed to media@LittleLeague.org.